The hospitality sector has changed a lot recently, and the possibilities have never been more exciting. CIT's Certificate III qualification provides the skills and knowledge you need to work almost anywhere in the sector including clubs, restaurants, airlines, cruise ships, bars, hotels worldwide. Students will experience the full range of bar and restaurant duties at CIT's own functioning fine dining restaurant, cafe and bar. If you're ready to step up and lead, Certificate IV is for you. Through a combination of practical and theoretical exercises, you will acquire the essential skills to operate independently and use your discretion to resolve emergencies as they arise. You will also learn how to supervise others including planning, monitoring and evaluating their work. The Diploma qualification unlocks the skills you need to coordinate a hospitality business soundly, drawing on your understanding of industry operations and management. You will feel comfortable working independently and having responsibility for others while making critical operational decisions around budgeting, marketing and legal issues. Those who aim for the upper echelons of the hospitality industry should take the Advanced Diploma program. This qualification will unleash your talents, combining substantial industry knowledge with specialised managerial skills in sales and marketing, human resources, financial management and business operations. Taking responsibility for others you will learn to make strategic business decisions and develop a long-term plan to chart the success of your enterprise. Students will undertake 36 unpaid shifts as part of their studies in this course. 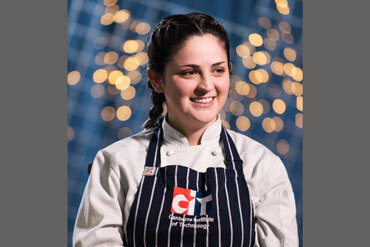 Many students gain casual employment in hospitality with the support of CIT teachers complementing their hospitality training. Description: This unit describes the skills and knowledge required to work cooperatively with others and deal effectively with issues, problems and conflict. It applies to individuals who perform a range of routine tasks using a limited range of practical skills, and a fundamental knowledge of teamwork in a defined context under direct supervision or with limited individual responsibility. Description: This unit describes the performance outcomes, skills and knowledge required to provide quality table service of food and beverage in Ã la carte or fine-dining settings. It covers high order service techniques to prepare the restaurant for the service period, provide food and beverage advice to customers, serve and clear food and beverages, and complete end of service tasks. Fundamental technical skills for food and beverage service are covered by the unit SITHFAB007 Serve food and beverage. This unit applies to hospitality organisations where table service of food and beverage is provided, such as restaurants, dining rooms and function venues. It applies to food and beverage attendants who work with some independence and under limited supervision. They may provide operational advice and support to team members. The sale and service of alcohol is subject to the provisions of Responsible Service of Alcohol (RSA) law in each state and territory of Australia. Skills and knowledge for compliance with this law are covered by the prerequisite unit SITHFAB002 Provide responsible service of alcohol. Description: This unit describes the performance outcomes, skills and knowledge required to evaluate a range of Australian wines; provide advice to customers on their selection; and continuously extend personal product knowledge. The unit applies to hospitality, winery, retail and wholesale organisations that sell Australian wines. It applies to personnel who operate independently or with limited guidance from others and who have substantial specialist knowledge of Australian wines. This includes beverage sales consultants, winery sales staff, bar specialists, sommeliers, and senior bar and food and beverage attendants. The sale and service of alcohol is subject to the provisions of Responsible Service of Alcohol (RSA) law in each state and territory of Australia. Skills and knowledge for compliance with this law are covered by the prerequisite unit SITHFAB002 Provide responsible service of alcohol. Description: This unit describes the performance outcomes, skills and knowledge required to determine the purchasing requirements for goods, source suppliers, discuss requirements, and assess the quality of goods before purchase. It does not cover the specialist skills to systematically purchase and control the supply of goods for an organisation. These skills are covered by: SITXINV004 Control stock; SITXINV005 Establish stock purchasing and control systems. The unit applies to all tourism, travel, hospitality and event industry sectors where the purchase of any type of good takes place, including food and beverage supplies. Purchasing goods may involve placing an order for future delivery or purchasing goods face-to-face and taking immediate delivery. The unit applies to operational personnel who operate with some level of independence and under limited supervision. This includes tour coordinators, account managers for professional conference organisers, event coordinators and banquet coordinators. In a kitchen environment it can apply to chefs of all levels, including commis chefs, but in larger organisations purchasing often remains the responsibility of sous chefs and executive chefs. Description: This unit describes the skills and knowledge required to develop and monitor implementation of the operational plan to provide efficient and effective workplace practices within the organisation's productivity and profitability plans. Management at a strategic level requires systems and procedures to be developed and implemented to facilitate the organisation's operational plan. This unit applies to individuals who manage the work of others and operate within the parameters of a broader strategic and/or business plan. Description: This unit describes the skills and knowledge required to sustain and develop an environment in which continuous improvement, innovation and learning are promoted and rewarded. Students will learn through a blend of face to face and online learning using digital and teacher resources, textbooks, and online learning and student engagement through eLearn. Students will be assessed through direct observation, portfolios, product based methods (reports, presentations) and evidence from the workplace. Students who successfully complete the Diploma of Hospitality and gain entry into the University of Canberra (UC) will receive 24 credit points (1 year) towards the Bachelor of Arts (429AA). Coco is one of the stars from Pressure Cooker, CIT's reality TV show. Coco grew up in Medellin, Colombia, surrounded by family who loved food and cooking.